An incredible atmosphere awaits you in one of the UK's most popular and exciting cities. Take in fabulous stretches of coastal road, including glorious panoramic views across the South Downs and the English Channel. It is a fast course, held exclusively on roads and tarmac promenade on an entirely traffic free route. The finish is in Madeira Drive, just east of the famous Brighton Pier. The last mile in particular will be along the seafront road alongside thousands of cheering spectators! 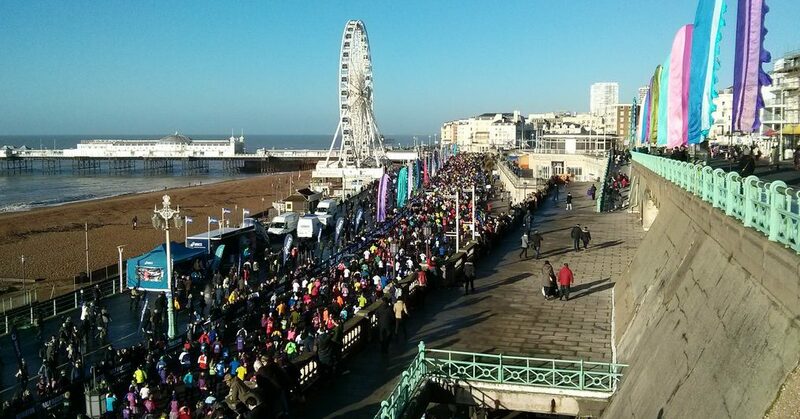 Do you have your own place to run in Brighton? 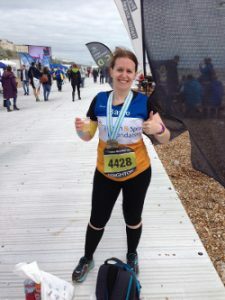 If you have been lucky enough to secure your own place to run in Brighton, and would like to run in aid of the Brain & Spine Foundation please call 020 3096 7880 to connect with our team. You will still have access to all the benefits of being part of #teambrainandspine as listed above!